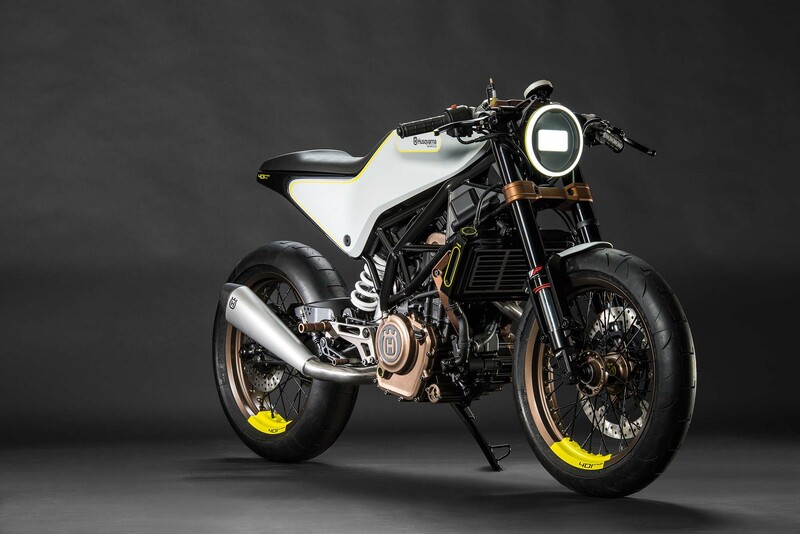 In addition to debuting the Husqvarna 701 supermoto, the Swedish brand had two street concepts to unveil at the EICMA show. 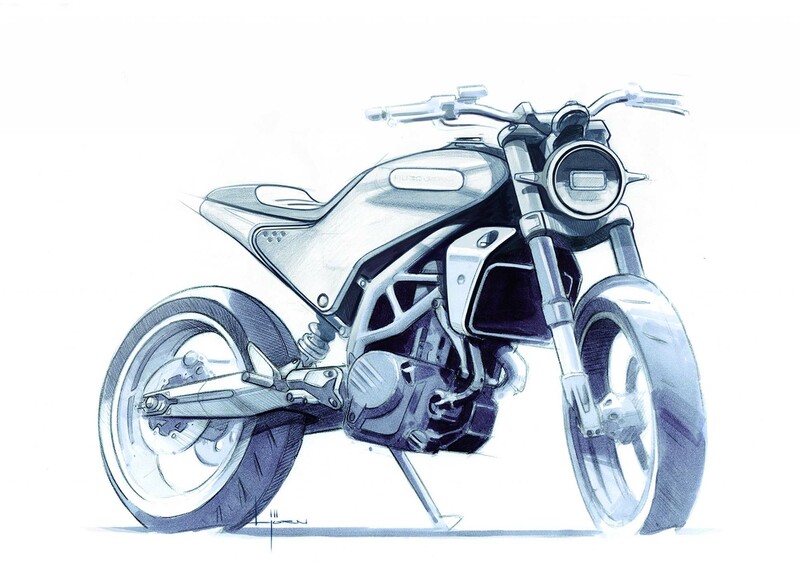 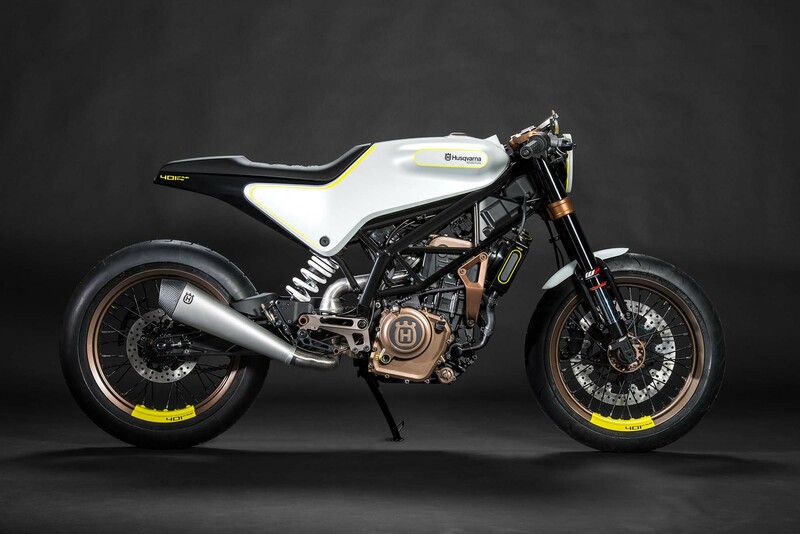 First up is the Husqvarna 401 Vitpilen concept, which is a café racer inspired model. 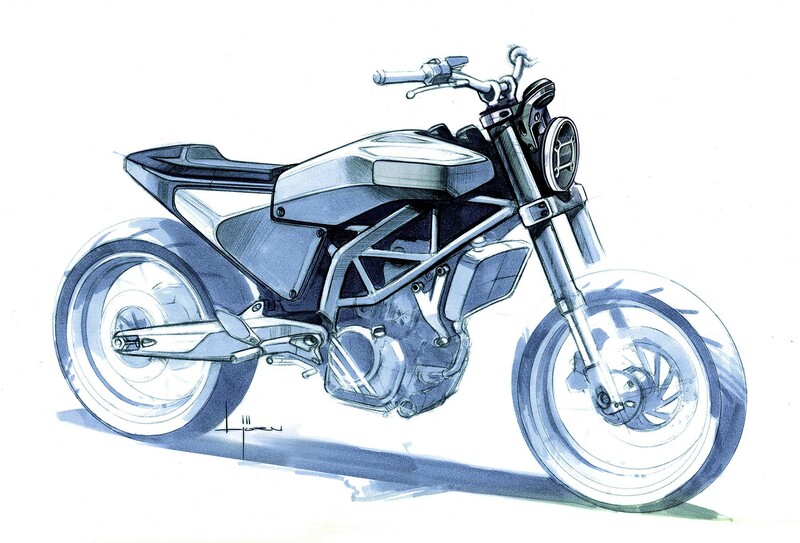 With a 373cc single-cylidner thumper at its core, the Vitpilen (Swedish for White Arrow) sports an attractive and clean design. 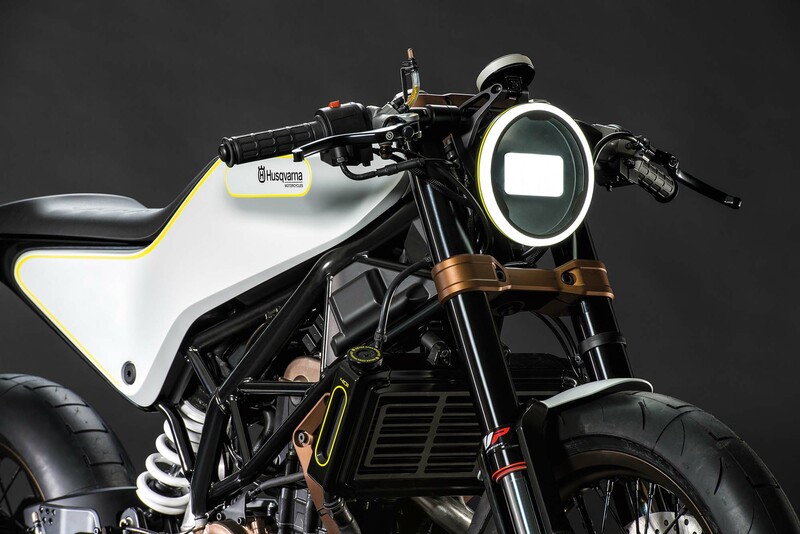 A modern riff on the 1953 Husqvarna Silverpilen, the idea behind the Husqvarna Vitpilen is that less is more. 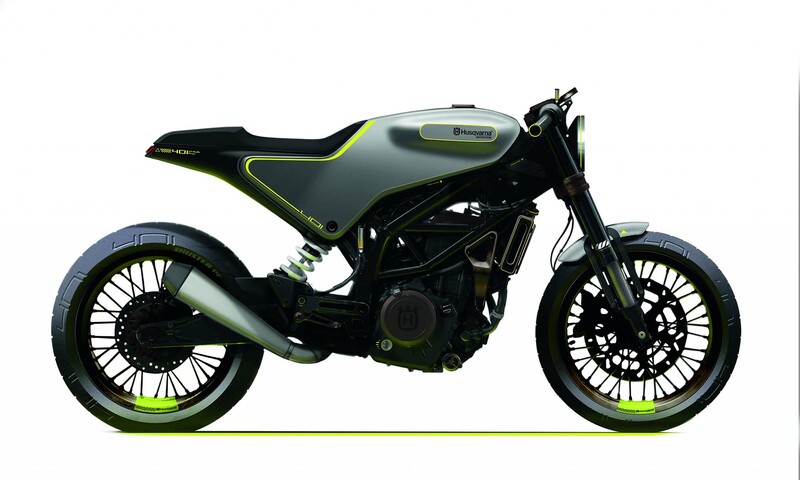 Making a modest 43hp, the Vitpilen weights a paltry 297 lbs (135kg). 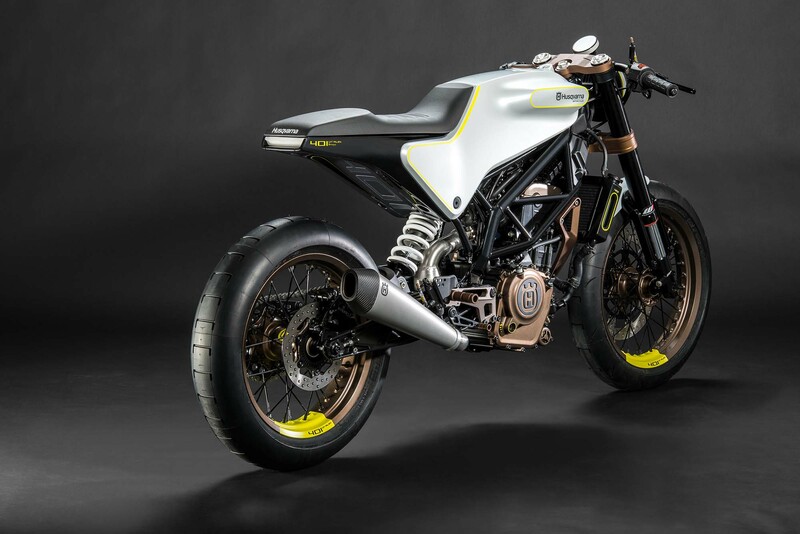 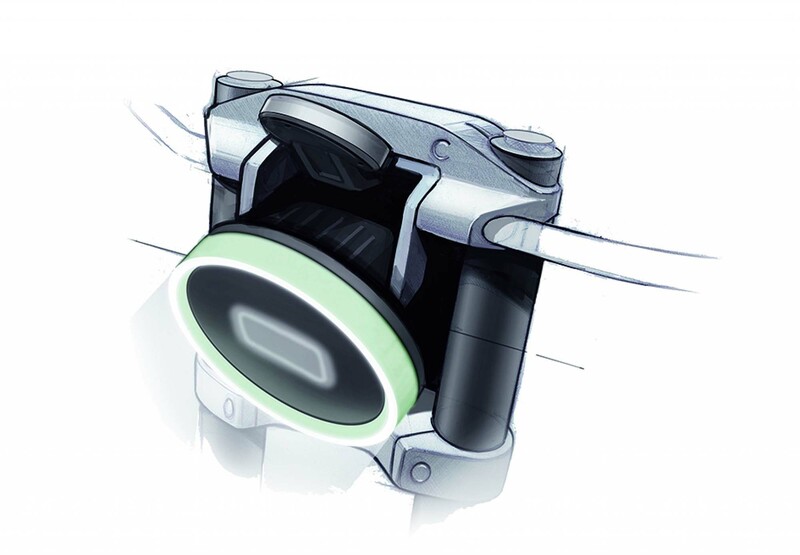 Clever details abound on the Vitpilen, and we particularly enjoy the high-tech LED meets retro-scrambler headlight design that sits prominently at the front of the bike. 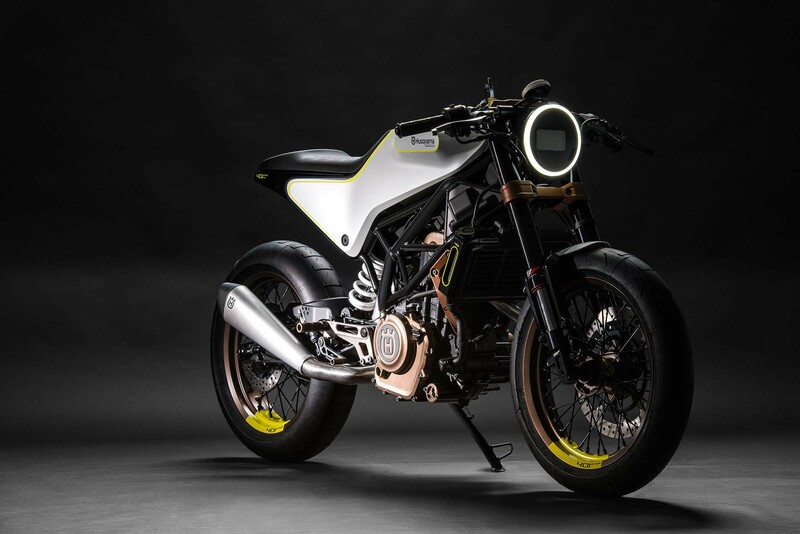 The design is clean and minimal, and true to Husqvarna’s roots both as a motorcycle brand, but also as a member of Scandinavian minimalism. 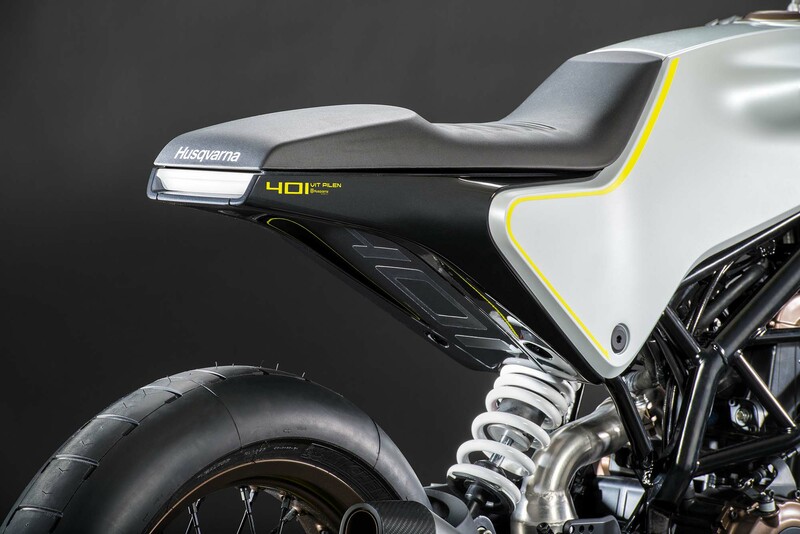 The effect is so pronounced, you probably have only just now realized that the Husqvarna 401 Vitpilen is based off the KTM 390 Duke. 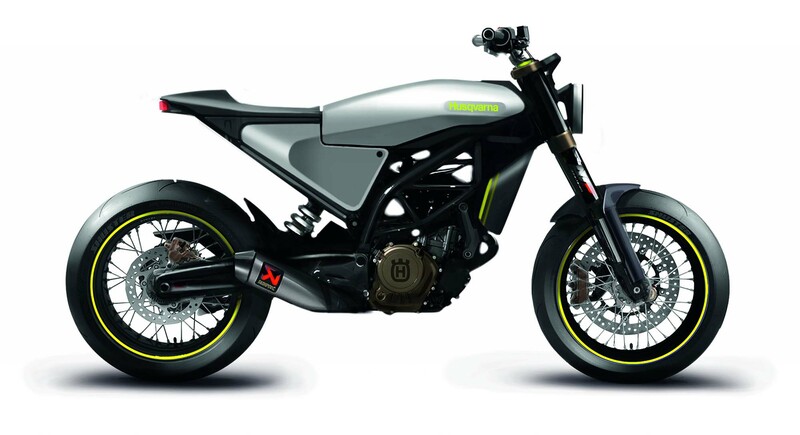 If the reactions to the Vitpilen, and its sister concept the Svartpilen, are positive, then Husqvarna may put them into production. 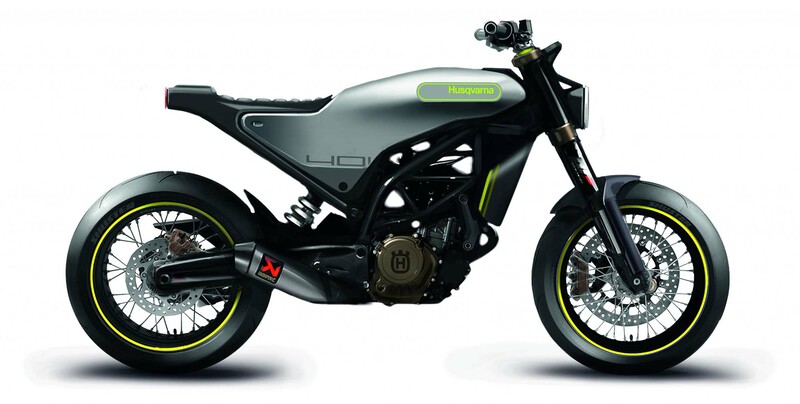 We’d be just fine with that.